DiskGenius offers advanced scanning technology to ensure finding every recoverable on your pen drive. Data loss on pen drive is not rare to see. Deletion and format are the most common reasons result in data loss from pen drive. Fortunately, there are some powerful pen drive data recovery solutions can help in recovering deleted or lost data from pen drive. You also don't need to waste your time on searching for reliable pen drive data recovery solution because we will give you an easy and efficient pen drive data recovery solution in this article. When the files get lost from pen drive, they are not "permanently lost". With right pen drive data recovery solution, the lost files can be easily recovered. DIY pen drive data recovery software is the best pen drive data recovery solution. And it is the solution we would like to recommend to you. Where to find reliable pen drive data recovery software? Don't worry. DiskGenius is just the software you are looking for. 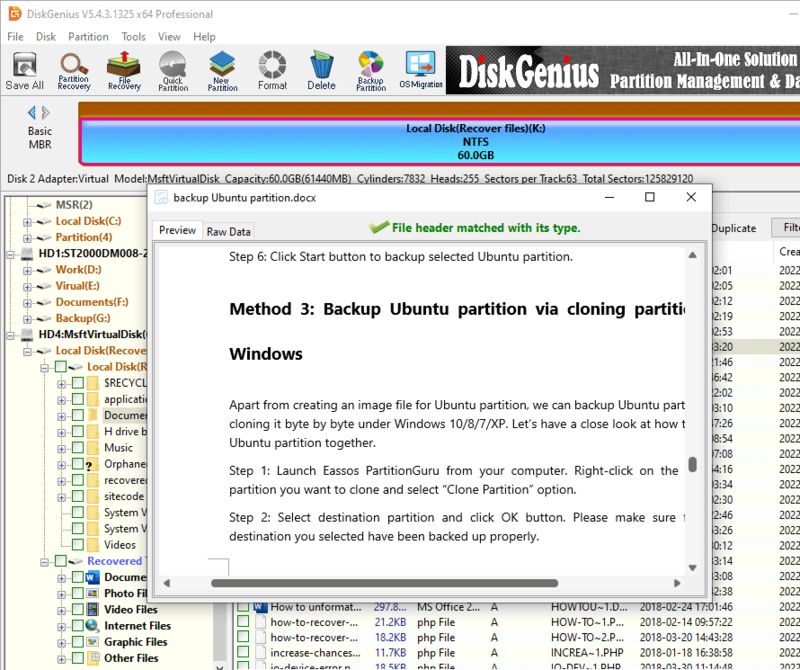 DiskGenius not only can recover deleted files from pen drive, but it also can recover formatted or erased pen drive. This powerful pen drive data recovery software also supports to recover lost data from pen drive due to logical error, virus infection, file system crash, improper operation, etc. It even can recover lost data from inaccessible or corrupted pen drive. It is fully compatible with Windows operating systems like Windows 10, Windows 8, Windows 7, Windows Vista, etc. If you want to recover lost data from pen drive, just free download and install on your PC. Then connect your pen drive with the PC. It will scan the pen drive and find all lost files. Step 1 Choose the pen drive. After connecting the pen drive with your computer, it will be automatically recognized by DiskGenius. Just choose the pen drive to start data recovery. Step 2 Scan the pen drive to find lost data. Click "File Recovery", it will show you the window of data recovery. Just click on "Start" button to scan the pen drive to find your lost files. Step 3 Preview and recover lost data. When the scan is completed, you can see all recoverable files. This pen drive data recovery software allows you to freely preview and recover the files you want. This is powerful and easy pen drive data recovery solution. DiskGenius offers advanced scanning technology to ensure finding every recoverable on your pen drive. Now, free download this pen drive data recovery software here.